NOW TV is an internet television service owned by Sky plc. It was first announced in February 2012, and launched on 17 July 2012. The service is available to watch via computer, various mobile devices, some game consoles and set-top boxes, with a Now TV branded box launched in July 2013. It is not viewable via Sky’s digital television service. Now TV commenced service in July 2012 by offering only films at first, adding sports in March 2013, and entertainment channels in October 2013. Movie and entertainment channels are accessed by paying a monthly fee, and sports on an ad-hoc basis (“pay as you go”). Now TV is designed for people who have no existing pay TV service. Now TV is available via the web on Mac OS or Windows, as an app on Android and iOS devices, PlayStation 3 and Xbox 360 consoles, and LG Smart TVs, as well as Roku and YouView set-top boxes. The service offers streams up to 720p resolution depending on the playback device and uses adaptive bitrate streaming to minimise disruption. You can register 4 devices and watch 2 at the same time. 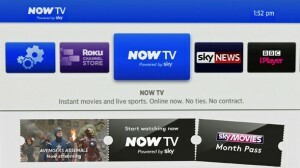 Sky offers a Now TV-branded Roku LT, allowing users to stream Now TV content to their television, as well as being able to access content from BBC iPlayer, ITV Player, 4oD, Demand 5, Spotify and Sky News. Now TV offers both live streaming and on-demand content from the following channels. Some programmes may not be available for live streaming due to rights restrictions. The Sky Now TV player is a rebranded Roku LT device, this is a stripped-down version compared to the Roku 3. There is a remote control, though it does not have the motion controls nor the headphone socket as on the Roku 3. 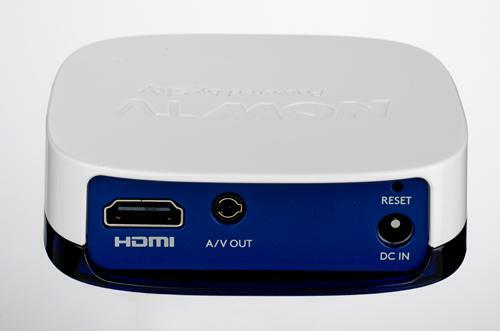 Video will only output at a maximum resolution of 720p, compared to the 1080p resolution of the Roku 3 and most other streaming devices, and there is no memory-card slot or USB port for expansion or external media. Live Sports events are streamed at a maximum resolution of up to 576p. The lack of a USB port is almost certainly NOW TV’s way of preventing users from installing Roku software on the device. The Roku Channel Store is available, though Sky appears to be restricting content from commercial rivals. Netflix is not available, and there is no option to add Plex channel for streaming content from other parties. 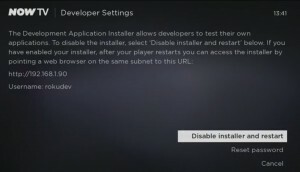 It is however possible to add Plex through Now TV’s developer mode. All the main PSB VOD services are available, BBC iPlayer, ITV, 4oD and Demand 5. Two obvious advantages the Roku 3 has over the Now TV Box is ports, namely an Ethernet port and a USB connection. This means you can connect your Roku 3 directly to your broadband router (Ethernet) for more stable and reliable streaming. The Now TV Box is a WiFi-only. The Roku 3 is a dual-band WiFi device whereas the Now TV Box is single-band. This means the Roku 3 is less susceptible to interference and streaming video over WiFi should be a smoother process. The USB port, found on the side of the Roku 3, also means you can connect an external hard drive and access any media files on your TV. The Now TV Box can stream your own media files on your home network, it is not as easy as it would be with a Roku 3, and you will need to spend time changing the settings on the NOW TV device. NOW TV boxes are subsidised by Sky, with the intention of getting viewers to pay for its sports, movie and entertainment channels, which are all heavily promoted on the device. The remote control has a shortcut button for the Now TV channel, and the Now TV, Sky Store and Sky News icons are irremovable fixtures at the top of the channel list. 24-hour passes for all six Sky Sports channels now cost £6.99 a go, which is designed to attract the fan who wants to watch the occasional match without committing to an expensive satellite subscription. Week passes are also offered for £10.99. The entertainment and movie channels are more keenly priced at £4.99 and £8.99 per month respectively, whilst the Sky Store offers single movies on demand, costing up to £4.99 per film. Streaming quality is not in 1080p full-HD, the highest resolution available is 720p. There have been reports of the device occasionally lagging between audio and pictures. Frame rates are not as fast as watching live satellite transmissions, though it is sufficient for most content. There have been reports suggesting that Sky may have a major problem with its server capacity. Now TV has accumulated a rather negative reputation for failing to cope with demand during large live events. Sky’s forums are full of complaints about Now TV struggling every time a new episode of Game of Thrones is aired. 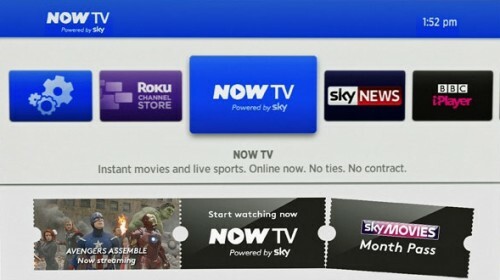 You need to setup a NOW TV account with Sky. Sky will try and entice you into giving away credit card details for a free 30 day trial, this is not compulsory so you can skip this. Scroll down and Select the 30 day free Movies Trial. You will be asked for some details, name, username and password. An email address is also required though you are not asked to verify it. You will then be asked for a credit card and billing address, to avoid this just close the page and continue. The NOW TV device is a rebranded Roku LT, sadly Sky have choose to block third party apps which compete with it’s own services. By accessing ‘Developer Mode’, it is possible work around Sky’s restriction and have Plex up on the NOW TV box. Download Plex to your computer, do not unzip the file. On the NOW TV remote press the following buttons in sequence: Home x3, Up x2, Right, Left, Right, Left, Right. You will then be presented with a blue screen. Press ‘OK’ on the ‘Enable installer’ option presented and agree to the developer agreement that appears (scrolled down and press ok). 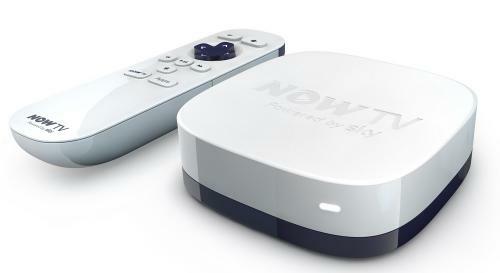 You will need to agree one final time on the pop up box and your NowTV device will restart. Once it has reloaded and on the home screen, go to the browser on your computer and go to the address which was displayed earlier. Select ‘Browse’ and select the zip file you downloaded earlier and select install. Plex should now be installed on the NOW TV box.